Do you sometimes wonder if God hears–let alone answers–your prayers? Do you ask yourself, What’s the point of praying? Do you long to experience the power of prayer in your daily life? 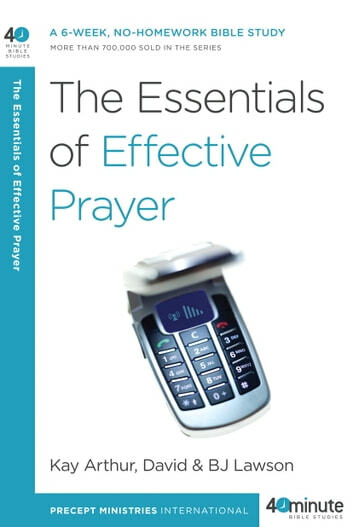 Find the keys to an effective prayer life in this compelling study that explores both God’s expectations of you and His promises to you when it comes to prayer. Through a detailed examination of the Lord’s Prayer and other examples of prayer throughout the Bible, you’ll discover a model for talking with God. You’ll also learn key principles of prayer and gain a deeper understanding of how prayer can draw you closer to His heart.